MASIKRYONG, North Korea — On the bumpy road to North Korea's top ski resort, work gangs hack and shovel the fresh snowfall to clear the route for busloads of their fortunate fellow citizens. Men, women and children, red-faced from the blizzard conditions and freezing cold, wrapped up in jackets, scarves and hats, smashing the snow like metronomes with pickaxes and sticks. They the push it aside with makeshift wooden shovels. Along the twisting mountain road, small groups of uniformed soldiers join the work, but this is overwhelmingly a civilian effort. Their bicycles sit by the roadside. It's not clear where the workers have come from — there are no houses visible in the area — as well as who is in charge or who ordered them here. 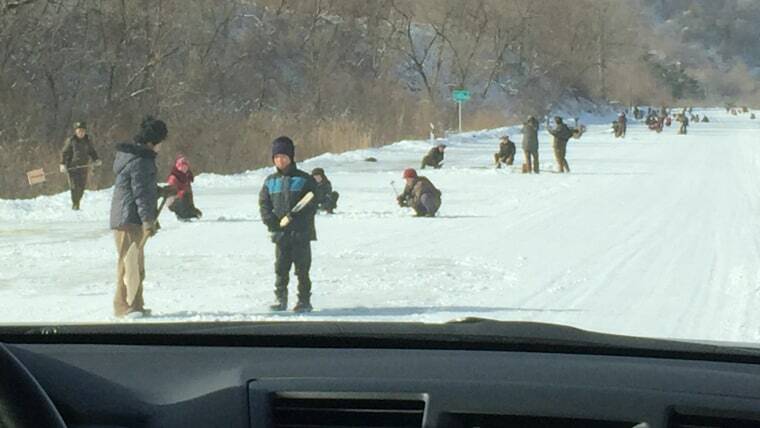 But for dozens of miles, we weave in and out of of the mass ranks of Kim Jong Un's snow clearers. Some of them appeared to be aged as young as 11 or 12. Others were teenagers. There was no sign of snowplows that keep the roads to America's ski resorts open. This is backbreaking, bone-chilling work by hand — the hands of Kim's people. There are no trucks to scatter salt. The workers dig the frozen ground and throw earth and stones on the icy road to keep the few cars that travel here from skidding off. North Korea's authoritarian state believes above all in "juche" — or "self-reliance." Its Stalinist-run society relies on the "revolutionary" work done every day by cadres of peasants and factory workers, organised by the ruling party, to maintain and create "a socialist fairyland." So a heavy snowfall must be removed from the roads of the fairyland. The people must respond. But the most surprising thing about this road is what's at its end. Mention North Korea, and a ski resort is not the first thing that comes to mind. A three-hour drive east from the capital Pyongyang, the slopes at Masikryong rival the best in many countries: 4,000 feet at the top, with 10 slopes to challenge all levels of skiers, from beginners to the slalom experts weaving their way down the wide pistes. Only four slopes were open when NBC News visited, but that had more to do with the blizzard than anything else. Chairlifts take parties of excited schoolchildren from chalets and the resort's main hotel — which offers first, second or third-class rooms. They're dressed in multicolored ski suits, many with new boots and skis. Equipment is offered for rent or for sale at the ski shop. A full ski outfit with gear costs several months worth of wages for even the most affluent local customer. But this resort is beyond the imagining of most of the North Korea's dirt-poor people. And propaganda is never far away. At the bottom of the slopes a giant screen blasts out patriotic music, showing scenes of saluting generals and Kim's officials from a Communist Party conference. In the hotel lobby, copies of Pyongyang newspapers recount the visit of the supreme leader himself to the resort last year. Kim watched the skiing, praised the country's sportsmen and women and then, incongruously, watched some nearby artillery firing. War and the enemies on the doorstep — the "puppet regime" of South Korea and the "imperialist" American forces based there — are never far from the minds of the rulers here. So it pains the North Koreans that next year's Winter Olympics will be held on the Korean Peninsula, but not at their Masikryong resort, where the snow falls thick and deep for three months of every year. Instead, the world will flock to Pyongchang in hated South Korea, where artificial snow will be pumped out to cover the bare patches that scar the otherwise well-appointed resort. The International Olympic Committee received no bid from North Korea to host the Winter Games and even if they had, it would have been beyond the North's capabilities. It also would have been out of the question to hold the Olympics in a country that defies the world over its nuclear program and much else. So, Masikryong will content itself next year, like every year, with the elite of its own closed society. They will swim in its half-Olympic sized pool, drink imported French cognac and Scotch whisky in its bars — there is no sign of successful sanctions here — and eat delicious fish from the nearby sea. Perhaps after a Korean foot massage, they will have their hair shaped in one of the 12 suggested styles pictured in the beauty salon. And then they'll take the long road home, past the massed and huddled work gangs toiling through the day, hacking away at the snow and ice. FROM JAN. 25: North Korean Official Delivers Fresh Warnings for New U.S. Admin. 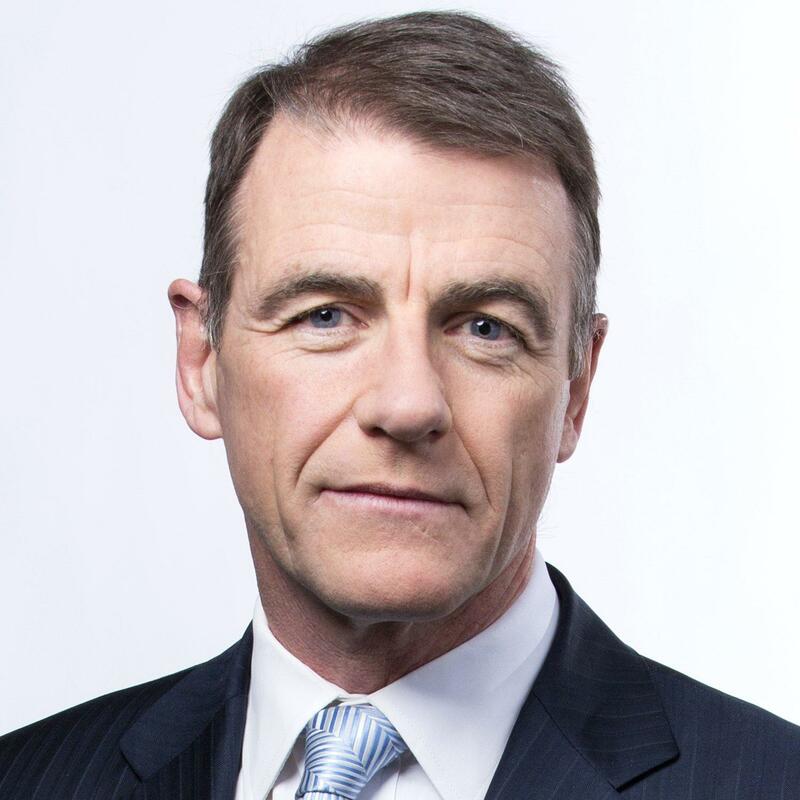 Bill Neely is NBC News' chief global correspondent. He joined NBC News from Britain’s ITV News in January 2014. His reports from across the globe have earned many awards, including an unprecedented three consecutive BAFTAs, the British equivalent of the Oscars, for his work in China, Haiti, and the U.K.